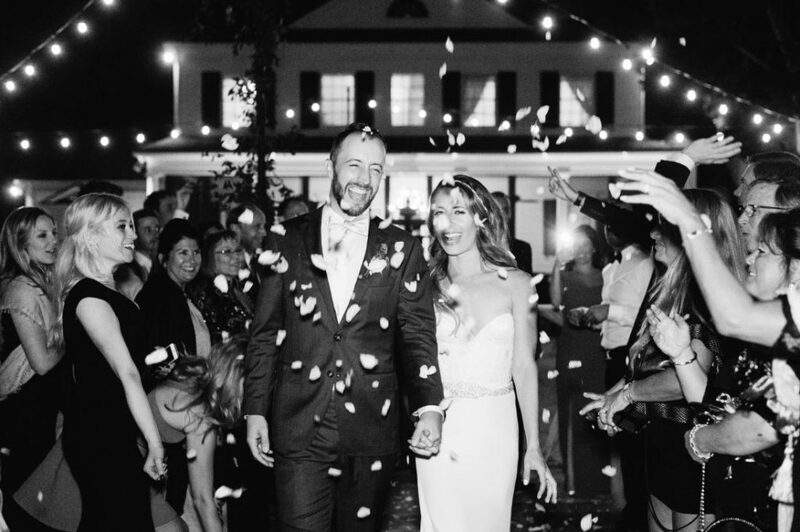 Wedding Send Offs are fun, whimsical, and involves all of your guests! We’ve gotten together our top five send offs, which are sure to create picture-perfect memories. 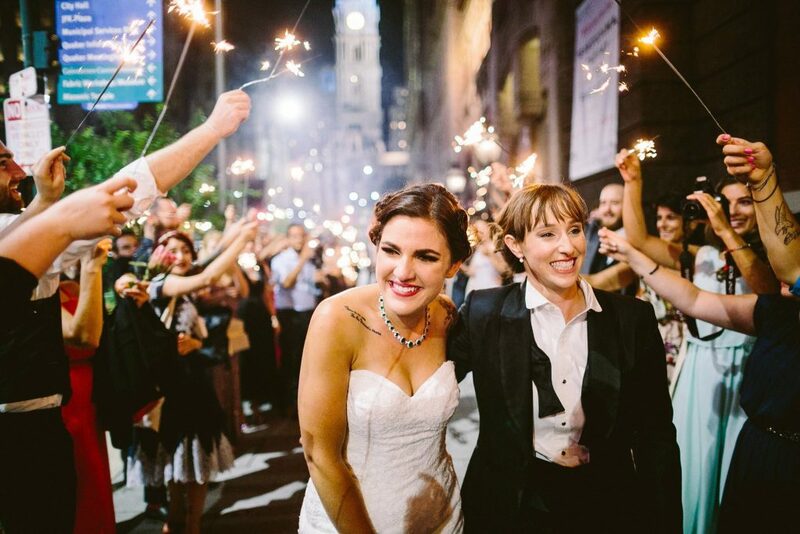 Sparklers are a tried-and-true send off. They’re relatively inexpensive to buy in bulk, easy to hand out, and create well-lit photographs. Rose Petal send offs have gained some popularity this wedding season, and we love it! Just make sure it’s done outside for an easy clean up. 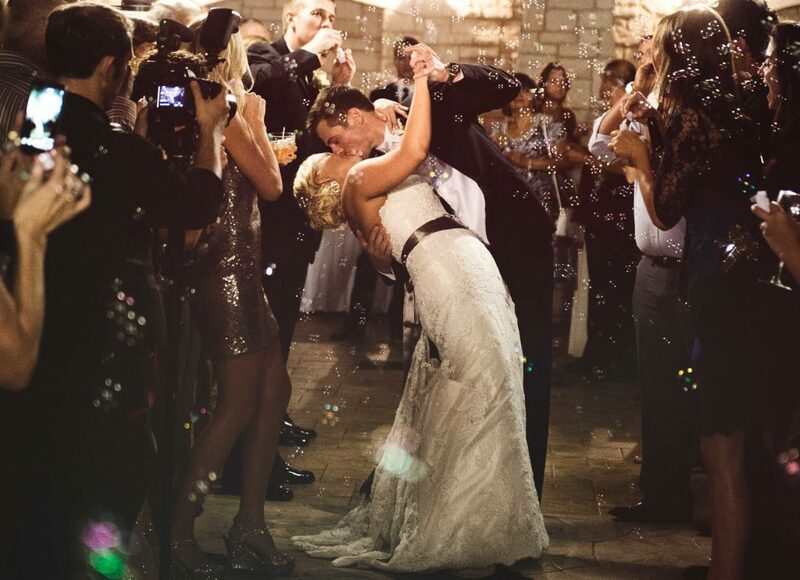 Bubbles are an old tradition that evolved from throwing rice as the married couple left their service. The rice was initially used to “shower” the couple with prosperity and good fortune. 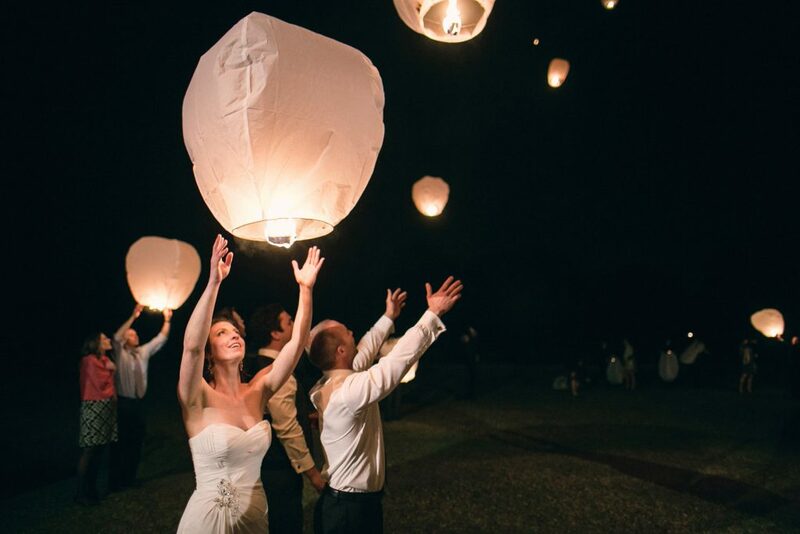 Setting off Chinese Lanterns has been popular for years, and we don’t see it going anywhere. Make sure to purchase biodegradable lanterns! The Mummers have always been a part of Philadelphia history, and have consistently had a place at the weddings of family members. Ever since Jason Kelce stole the show in a Mummers Costume at the Eagles Superbowl Champs Parade, the costumes have become more popular among non-mummers. Our favorite way to do a Mummers Send Off? 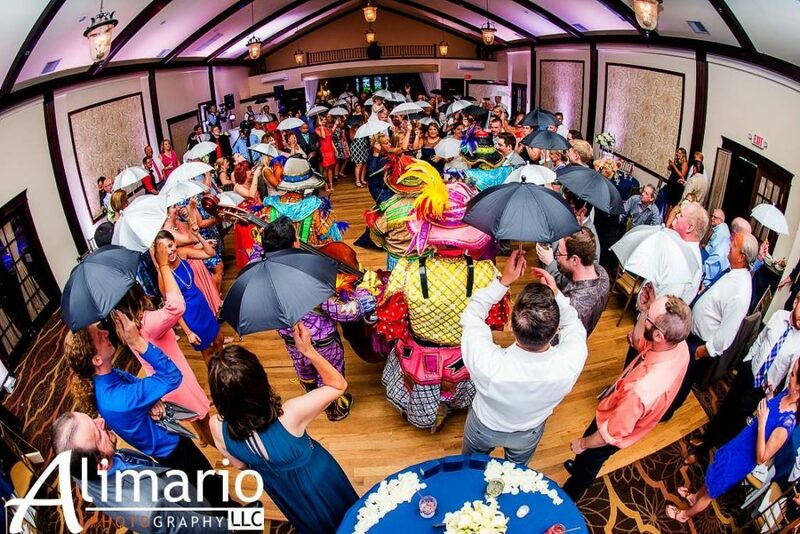 Book authentic Philly Mummers to play “When the Saints Go Marching In” as they lead your guests out of the room, and maybe even to the after party!